Dekang Silver Label is top of the range Dekang. Dekang 10ml bottle comes with Silver Label dropper that makes it easy and slim to refill tank cartridges and cartomizers/ clearomizers. Dekang Silver Label is top of the range Dekang. Dekang 10ml bottle comes with Silver Label dropper that makes it easy and slim to refill tank cartridges and cartomizers/ clearomizers. The new bottle also has a Seal which guarantees the authenticity of these products. We chose to sell this product because we want to offer our customers only quality products without leaving any trace of doubt on their authenticity. Liquid-liquid Dekang is most appreciated worldwide due to flavorings for use by the manufacturer. Vapor Flavor (used to be E-liquid, refilling liquid for Vaporizer) is one of the main components of Vaporizer, leaving no odor. The vapors contain neither carcinogens nor other harmful chemical ingredients. Vapor Flavor can be used for all types of cartridges of Vaporizer, clearomizer ,etc. Vapor Flavor Dekang has a unique formula that provides a taste of natural elements. 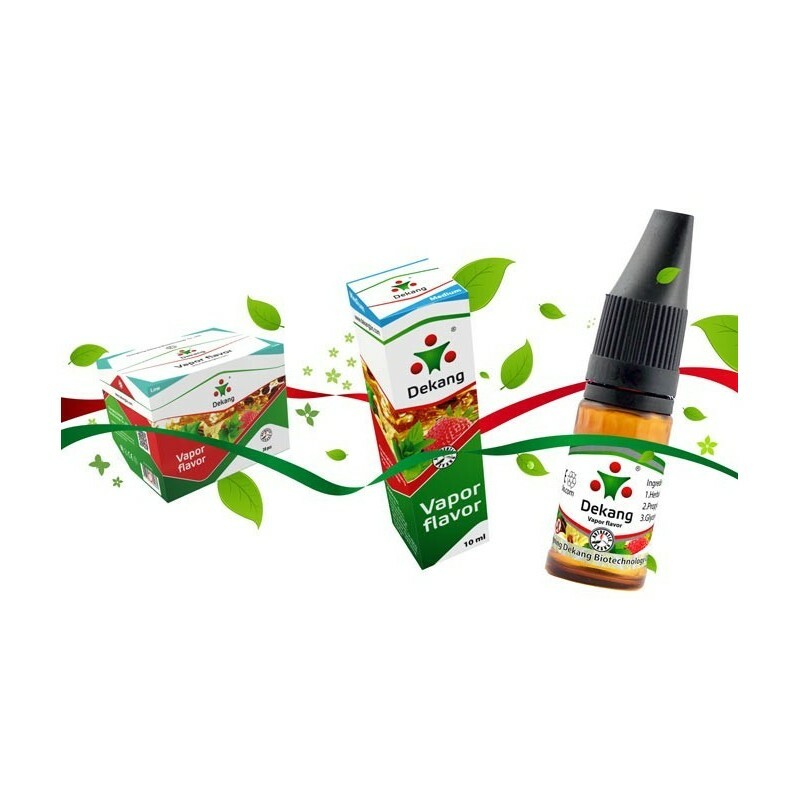 Dekang Company uses only natural flavor enhancers based on high quality and health friendly juices of their own manufacturing. It ensures the safety of its products by using environmentally friendly ingredients that are free of harmful substances. Look for YNDK on the childproof caps to ensure your liquid is genuine, you know you are safe with us. All Dekang Silver Label bottles are shrink-wrapped, childproof, tamper-evident and hologrammed. The Silver Label range offers you 100% assurance of Dekang authenticity and the best consumer protection yet against dangerous counterfeit e-liquid. When you receive your e-liquid, you will need to cut off the top 1mm of the plastic dropper using scissors. Until then, the bottle is completely sealed. For best flavour, allow bottles to breathe for 48 hours.